The IMD MBA Future Leaders Scholarships are open to candidates who demonstrate leadership understanding and who is pursuing an MBA Degree at IMD. You must submit your full application and the essay (using the IMD MBA Scholarship Template) before 30 September 2017. Visit Scholarship website for more details and to access the scholarship template. 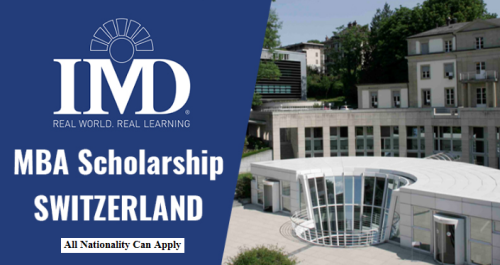 All the information about IMD MBA Future Leaders Scholarships has been delivered nicely; interested and talented students who are eager to pursue their Free Tuition/Scholarships/Study in Switzerland can apply now.